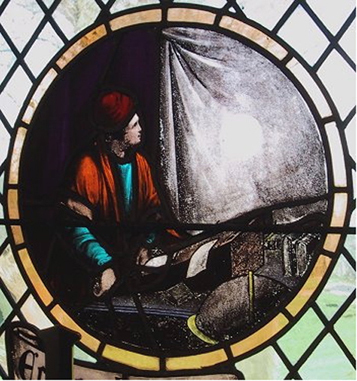 Stained glass window from the church at Much Hoole showing Horrocks’s original observations. 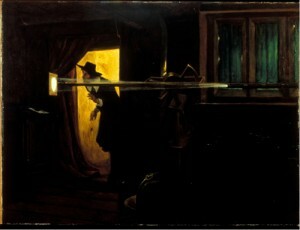 Eyre Crowe’s 1882 painting of Horrocks observing the 1639 transit of Venus. 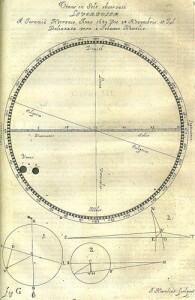 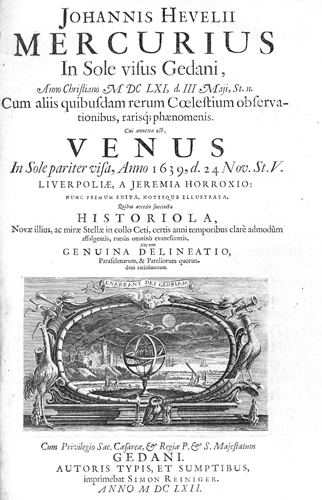 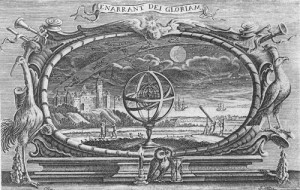 Frontispiece of Hevelius’s 1662 publication on the 1639 transit of Venus and on transits of Mercury. 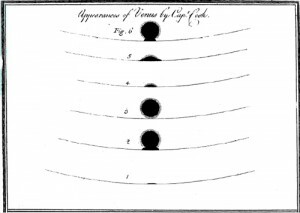 Thobern Bergman’s (1761-1762) rendition of the Black Drop effect during the 1761 transit of Venus. Reprinted with permission from the Royal Society. 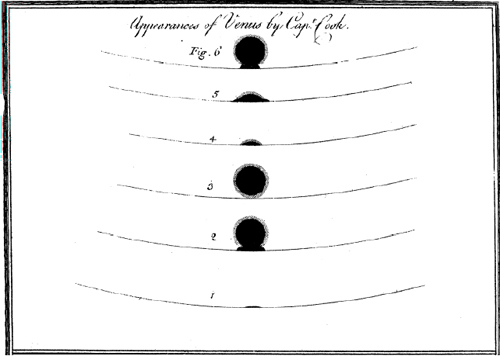 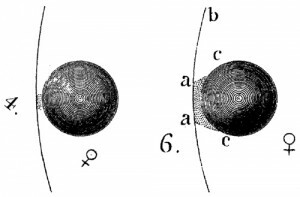 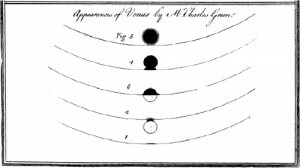 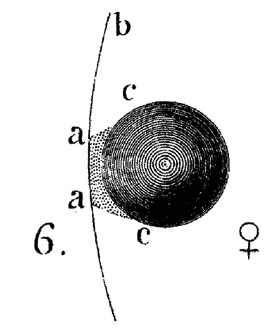 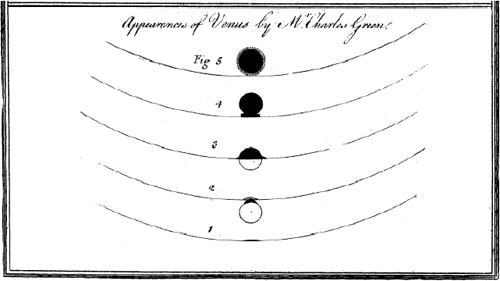 The black drop effect and Venus’s atmosphere sketched by Captain Cook and published in the Philosophical Transactions of the Royal Society. 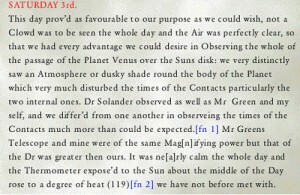 Green,formerly assistant at the Royal Observatory at Greenwich,and Lieut. 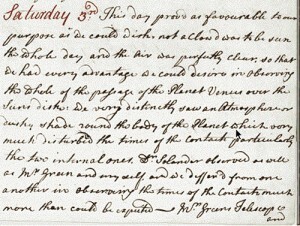 James Cook, of His Majesty’s Ship the Endeavour. Phil Trans. 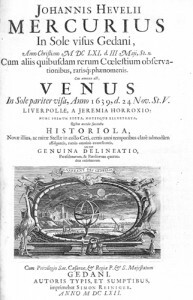 61, 397-421. 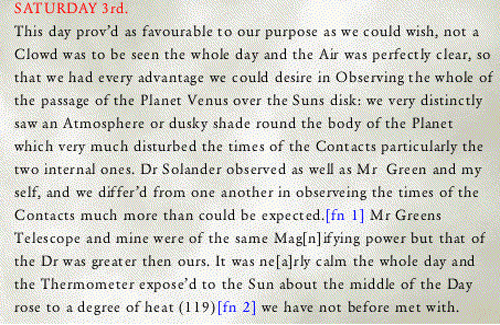 Some damped by inopportune fog. 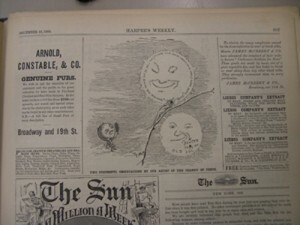 turn sable in crossing the Sun. And we hail you as most philantropic. 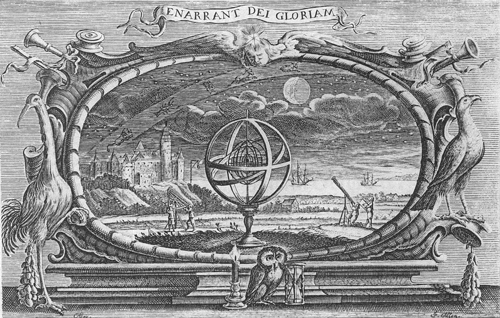 And the armies for conquest who fight. 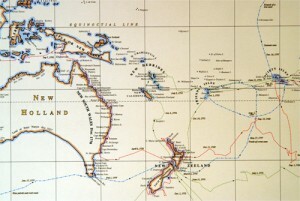 Will cease among civilised nations. 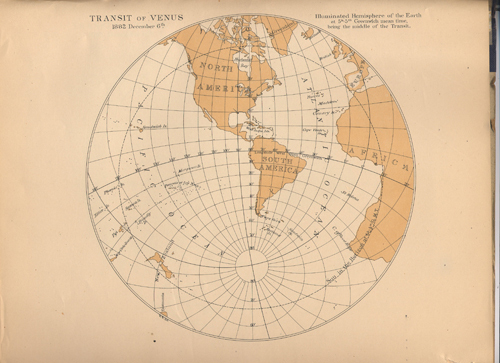 Be crowned by the Exit of Mars? 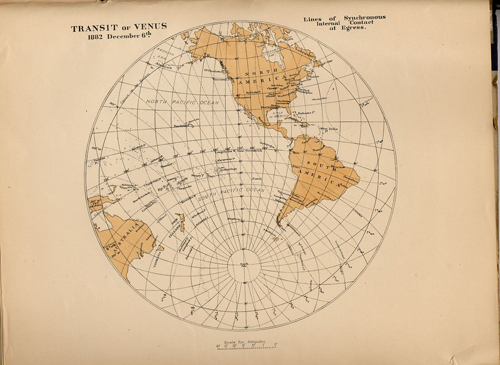 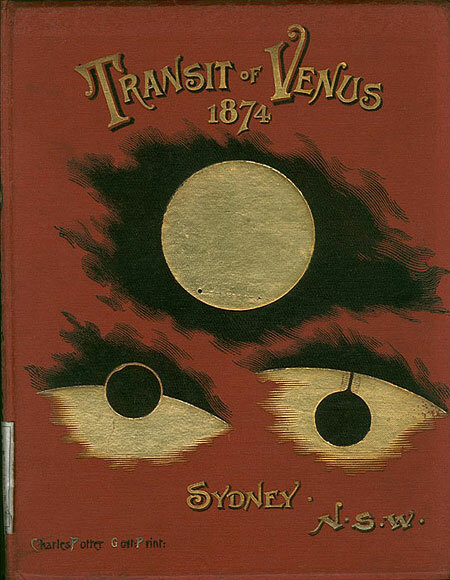 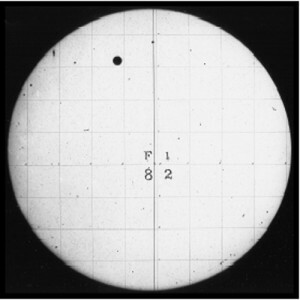 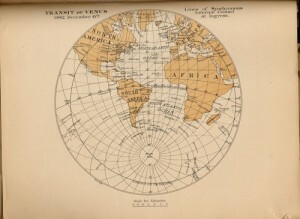 The observations of the 1874 transit of Venus from Australia by Henry Chamberlain Russell, from a book that also included a 1761 image of the black-drop effect by Thobern Bergman from the Philosophical Transactions of the Royal Society. 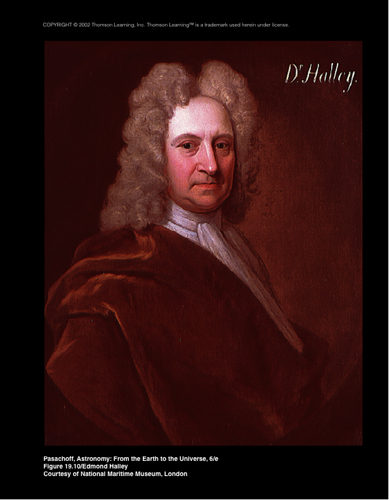 (The wrong Russell’s name was added much later to this image). 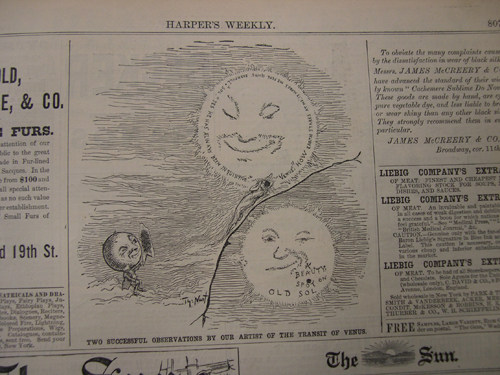 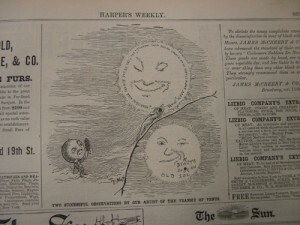 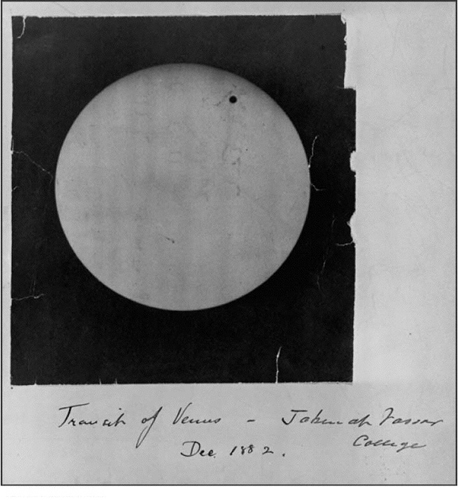 The 1882 transit of Venus, photographed at Vassar College by Maria Mitchell and her students. One of the handful of remaining photographic plates of the US Naval Observatory’s expeditions to observe the 1882 transit of Venus. 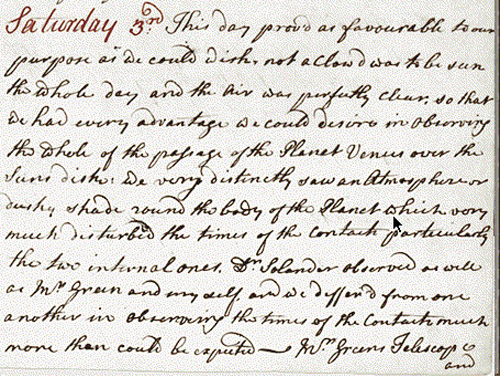 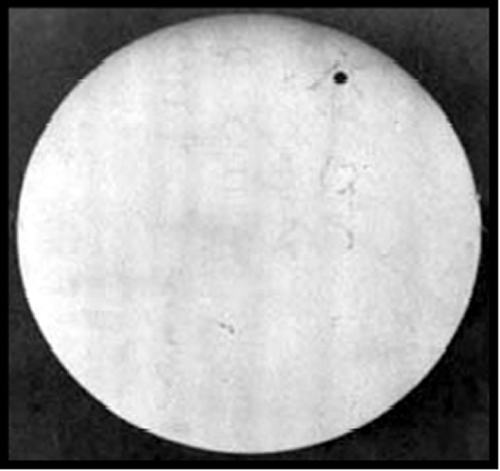 The 1882 transit of Venus, photographed at Vassar College by Maria Mitchell and her students, a wider view showing the original handwriting on the photograph’s mount.